It might seem unusual to spend the 4th of July in Napa Valley feasting on traditional Croatian food, drinking wine, and celebrating Croatian culture. For those gathered on the lawn of Grgich Hills Estate’s historic Victorian house in Yountville under the shelter of towering oak trees, there was no better way to celebrate Independence Day than Grgich Hills Estate’s Croatian Extravaganza. The Croatian Extravaganza not only celebrated Independence Day, but also the 38th Anniversary of the winery’s ground breaking by Miljenko “Mike” Grgich and Austin Hills on July 4, 1977. The winery has hosted an annual celebration on the weekend closest to July 4 since 1978, featuring a warm family-friendly atmosphere in the old-world tradition, and of course, no shortage of exceptional wine and food. The celebration honored both Croatian and American culture. The red, white, and blue colors of both the Croatian and American flags recurred throughout the festivities, from the tablecloths to the festive floral centerpieces and even to the dessert–vanilla ice cream served with strawberries and blueberries. The event was all about family. Both the Grgich and Hills families attended with their children and grandchildren. In addition to an area designated for childrens’ games and activities, the party featured a caricature artist, photo booth, ring toss, bocce, music, and dancing. For the fifth year in a row, the Croatian Kolo group ‘Veseli Hrvati’ showed off their beautiful traditional clothing and dance and invited the crowd to join them. Guests were greeted with wine and delicious appetizers – including fruit, prosciutto, and ćevapi with ajvar – a traditional Croatian street food. This was our favorite! The ćevapi are a skinless sausage that begin with an equal part mixture of minced beef, pork, and lamb, and then they continue adjusting the mixture until it’s just right. We were told that it’s sometimes eaten as a sandwich on a flat bread or ciabatta, with sour cream and onions. The best part is when you dip your ćevapi into the ajvar, a roasted red pepper sauce with a little kick. The professional Croatian pitmasters from the Croatian American Cultural Center in Sacramento arrived at 2 a.m. to begin roasting whole lambs on spits in the traditional Croatian style. The roasted lamb was served with chicken, green bean salad, corn salad, caprese salad, and fingerling potatoes. A party at Grgich Hills Estate wouldn’t be complete without amazing wine. The bar featured a selection of current releases including Fumé Blanc, Chardonnay, Zinfandel, Cabernet Sauvignon, and Violetta Late Harvest. The party also featured a library selection, with bottles of 2006 Cabernet Sauvignon set on the tables with lunch. 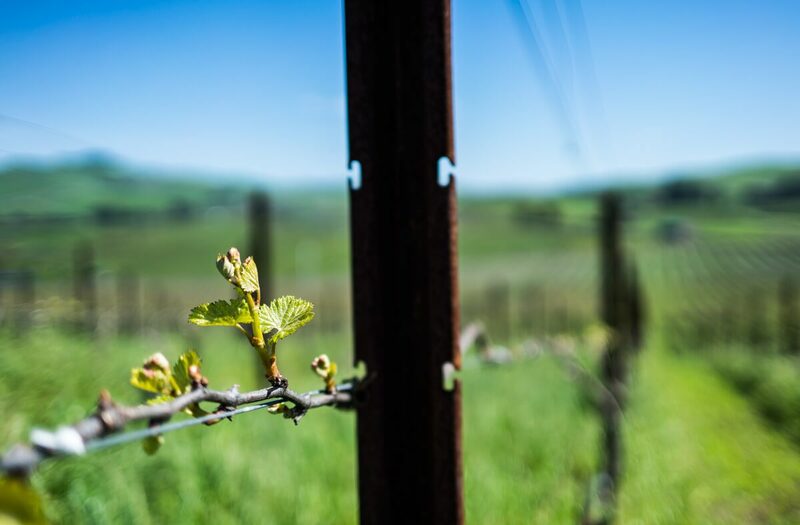 The location next to Violet’s Vineyard in Yountville allowed guests to walk the vineyards and take photos amidst the picturesque Cabernet Sauvignon vines. We can’t think of a better way to spend a July afternoon than celebrating with great food and wine in our favorite town in Napa Valley. What a great testament to our nation that a winemaker from Croatia can come to the United States with nothing but a suitcase and money in his shoe and produce wines that win international acclaim. Check out Mike Grgich’s book here. 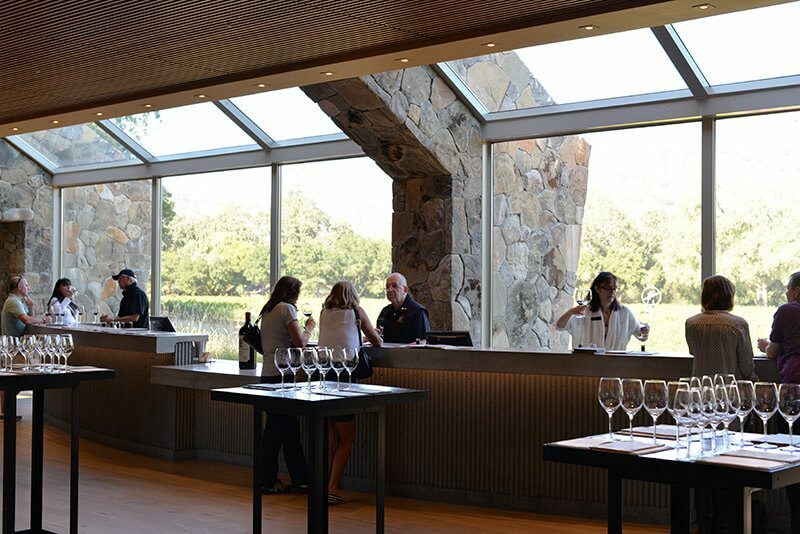 Want more on Napa and wine tasting tips? Just add your email below and we’ll send you our free insider’s guide to wine tasting!